The Men's Solid Streak Rash Guard is constructed from a stretch nylon blend fabric. 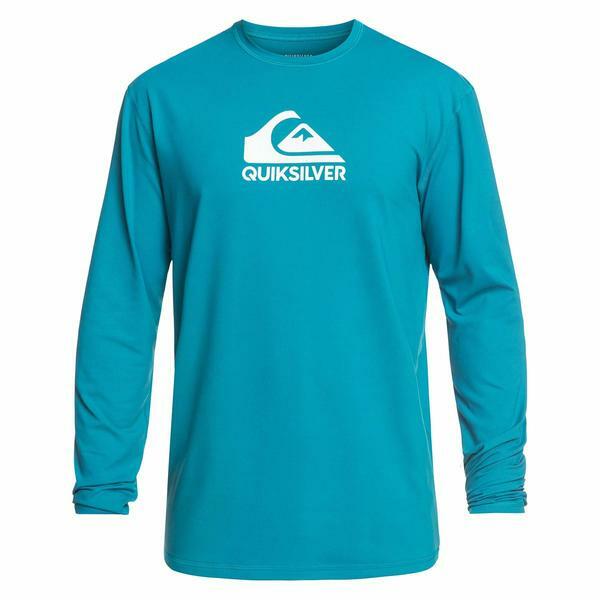 This dynamic rash guard includes a loose fit that is cut for added room and comfort. It is then rounded out with ultraviolet 50+ sun protection for ultimate protection from the suns rays, the long sleeves are sure to protect you on the sunniest days. Imported.